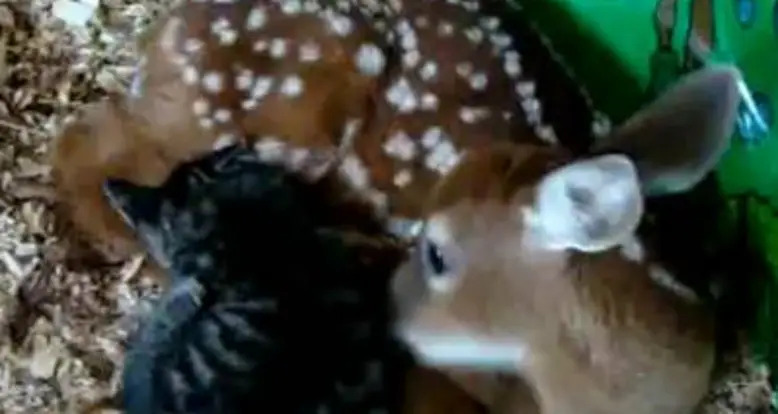 Kitten & Baby Deer In Love! A fawn and kitten get close on camera. 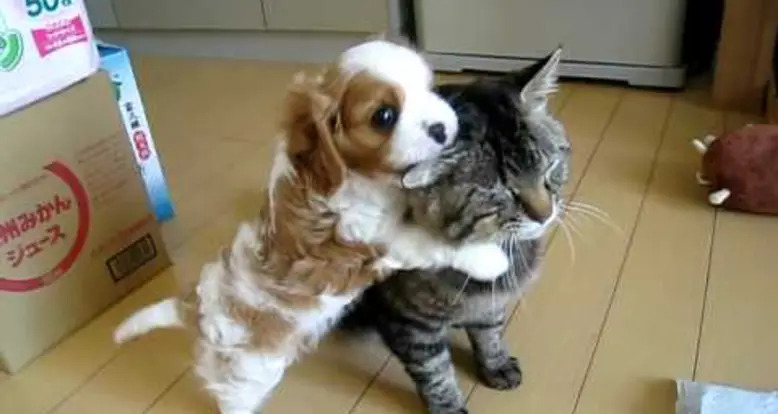 My new favorite thing: interspecies animal massages. 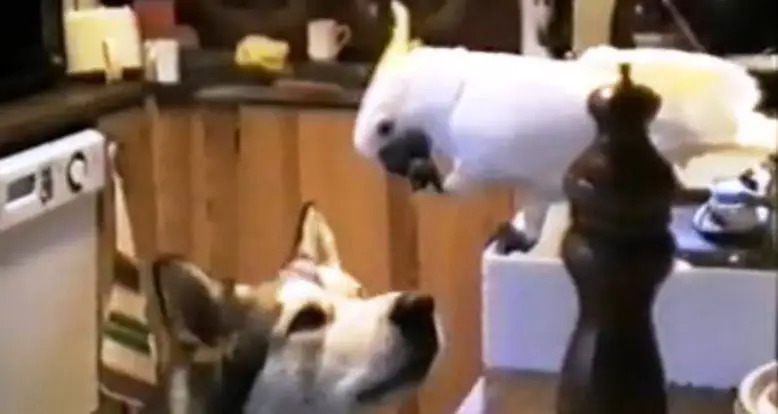 Interspecies animal teamwork pays off! 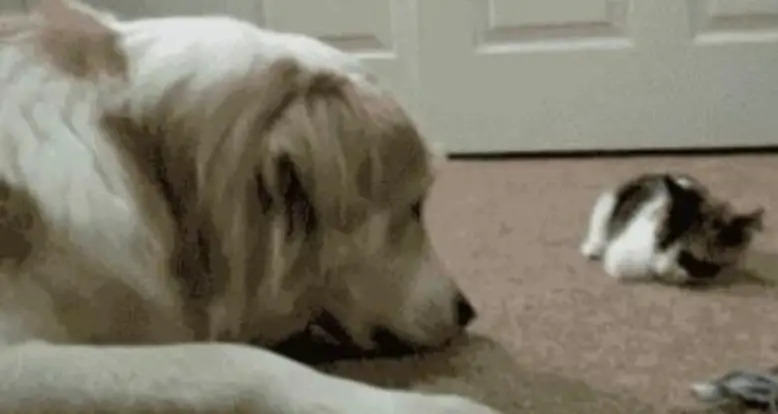 That kitten has quite the nerve taunting a much bigger dog! Or Bambi and Thumper come to life. 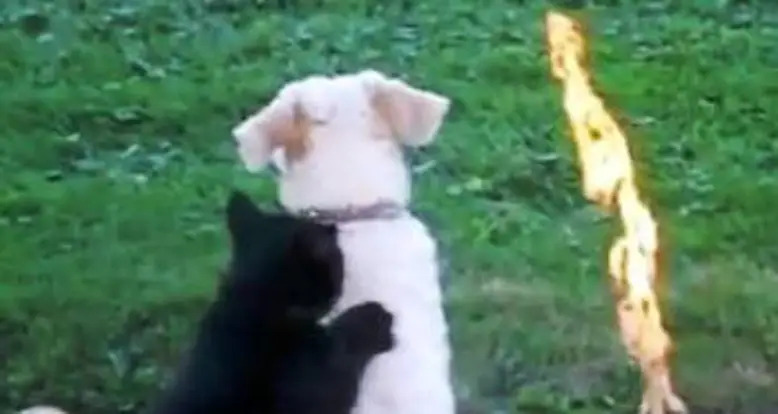 That cat is oddly tolerant of the puppy's PDA. 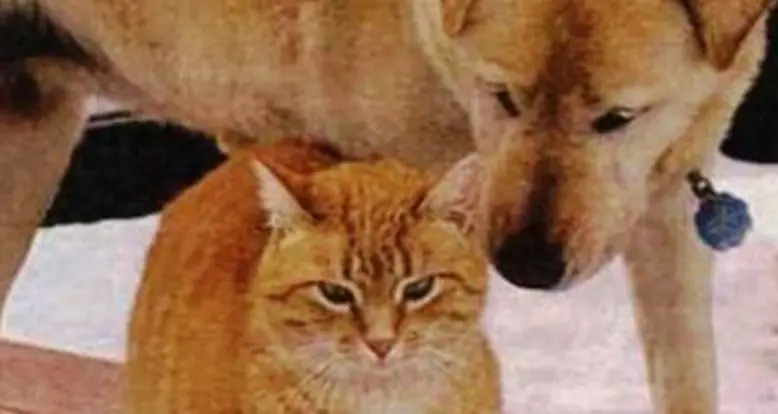 "An Eye On You", the heartwarming story of Cashew and Libby, a 14 year old Labrador and her seeing eye cat.